You have climbed and climbed and rewarded with an astonishing view. Your strong impact management practices show that you have integrated it within your strategy, and that impact is core to your organisation. As with most hikes, reaching a viewpoint does mean that you cannot go yet higher. Are your impact measurement practices consistent across different projects? If no, what are your best practices? Is your impact data systematically designed and used as a strategic management tool, or is it sometimes chosen to meet your funders' needs? Think about the key information you need to collect (see below “Optimise your data collection”). Don’t forget that your organisation can become exemplary in impact management only if the culture of impact is spread over the organisation, from the chief executive and management team to the key workers that collect data. Create impact leadership, while fostering the participation of everyone in the strategic thinking around impact. If not, impact measurement will remain a dull and time-consuming task for your frontline staff. Have a look at the tips below - that are designed for all organisations with an “expert” level, some might be more relevant than others to you. and feel free to get in touch if you want to discuss further your practices, get specific advice, or challenge us! 1. Stop, take a step back and redefine your strategy: sometimes organisations get caught up in their daily operations, and find it hard to take the time to think about what really matters. Take the opportunity to gather your teams around strategic thinking and the redefinition of your impact strategy. 2. An impact strategy starts with the definition of a social mission: it is the purpose that steers your organisation. What motivates you toget up in the morning? What impact do you wish to create and how? You have probably already defined a social mission for your organisation. If so, ensure that it is precise, complete and up-to-date, e.g. still representative of what you do and especially what you aim to do in the future. A social mission can evolve over time and good practice is to review it every two years. Ensure that it clearly states the social/environmental issue you aim to solve, the targeted beneficiaries, your approach (services, products) to solve the problem and your intended outcomes. 3. You must have defined already a logic model that credibly links actions to results, often referred to as a Theory of Change. Ensure that it still reflects your vision today, and do not forget to involve your team and even beneficiaries within this discussion: a collaborative approach helps understanding if everyone is on the same page. For more information on the Theory of Change: watch and share this short video made by Investing for Good. 4. Ensure that you have clear, specific and realistic outcomes for all your projects. What short-term, end of programme and long-term effects do you wish to have on your target population? 1. Create impact leadership. The senior management team should be vocal about impact to ensure that it’s on everyone’s agenda and to aid effective internal communication. Don’t forget that collecting data is not an objective in itself. The data must be relevant and critical. Am I serving the target population? Am I serving the most vulnerable individuals within the target population? - Are the effects of the programme sustainable? What is and what is not sustainable? In other words, 6 months after leaving the programme, can I prove that service users are in a better situation than if they hadn’t accessed the programme? - Is Activity A more efficient than Activity B to in having meaningful impact on the beneficiaries? Are they complementary? 2. To measure your performance in attaining your outcomes for each project, ensure that your indicators reflect your outcomes and that they are precise enough to draw conclusions about success. Be careful about the choice and balance of indicators: outputs show the effort of the organisation, not the impact. Yet outcomes without outputs to give context are meaningless. For more information about "What to collect", have a look at this website. 3. When dealing with social impact, it can be challenging to measure the results of your activities without overstating them. You want to see good results and your beneficiaries may not wish to challenge them. There are several approaches that will help you rigorously extract your impact: the “before-after” approach (interviewing the same person over two different occasions) and the “target-control” approach (interviewing two groups of people at the same time: beneficiaries and non-beneficiaries with similar characteristics). Define the approach you wish to adopt to determine your impact, according to your specific context and resources. Also, think about all the other factors that may have an effect on your beneficiaries, and try to understand to what extent the change that you captured can be explained by your activities. 4. Technology offers great opportunities to better monitor your social performance…as long as it only captures the data that is key to your organisation and does not overcomplicate things. Think about the most appropriate data system for your organisation. Do you need an integrated system that captures both general data on your beneficiaries (case management) and impact data? Or do you prefer using an Excel spreadsheet to store data, and only use software to collect survey data? What is your staff and volunteers’ digital literacy? 5. When introducing new tools, ensure that all your team involved embrace it: prepare, equip and support your team to successfully adopt new practices. And frame it as part of the big picture so they understand why their individual effort is crucial. 1. You probably already communicate your positive impact result to your team, and you’re right: your volunteers and employees are working hard to achieve it and this is a means to recognise their effort. 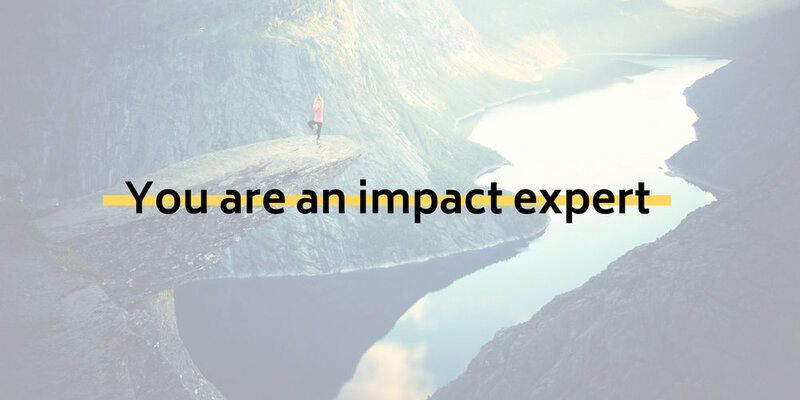 You also probably share your impact data with external stakeholders. Embedding good impact practices and communicating it will unlock the potential for new partnerships and attract capital, as well as ensure your organisation stands out from the crowd in a competitive funding environment. 2. Concentrate on how to improve: consistent and regular data collection will allow you to learn from your impact results, identify areas of improvement, take corrective action and constantly optimise your impact generation model. Engage your staff in this strategic thinking. Realise the benefit of constructive criticism. Evaluation, whether external or internal, may seem intimidating, but the final focus should be on improvement, not on results. We'd love to hear from you! To discuss your results and the next steps you could take to improve your impact management practices, or to share with us your feedback on this quiz, please do not hesitate to contact Manon at: mdesert@investingforgood.co.uk. - Social-purpose organisations, including charities and social enterprises and NGOs. - Providers of capital to the social sector, such as grantfunders, commissioners of social services, and foundations. - Experts engaged with the sector, including policy makers and advisers, regulators, consultants to charities and donors, and academics and impact researchers. 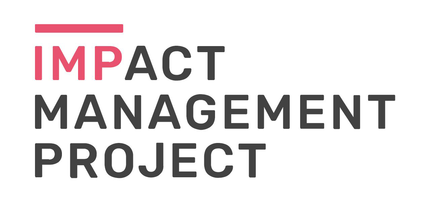 The Impact Management Project (IMP) is a collaborative effort by over 700 organisations, from different disciplines and geographies, to agree on shared fundamentals for how we talk about, measure and manage impact – and therefore our goals and performance. Investing for Good takes part in this initiative, recognising the need for a shared vision about impact, and the IMP's additionality in this process. This website is relevant to anyone looking to measure and manage their effects on people and planet, positive and negative, regardless of their motivation. You will find some key questions, tools and case studies. The Impact Management Programme aims to build the capacity of charities and social enterprises to manage their impact. In the context of this programme, impact management training has been delivered to over 150 charities and social enterprises across England in 2017. Investing for Good has been recognised as an approved provider for this programme, and is currently working with 3 organisations participating to this programme. 6 short videos of the training delivered by Impetus-PEF are accessible online.